Love has different meanings to people, but many can agree it has an impact it has on us. Personal strength can be rooted from some kind of love or support a person gets. Love can be fuel for empowerment and social justice. 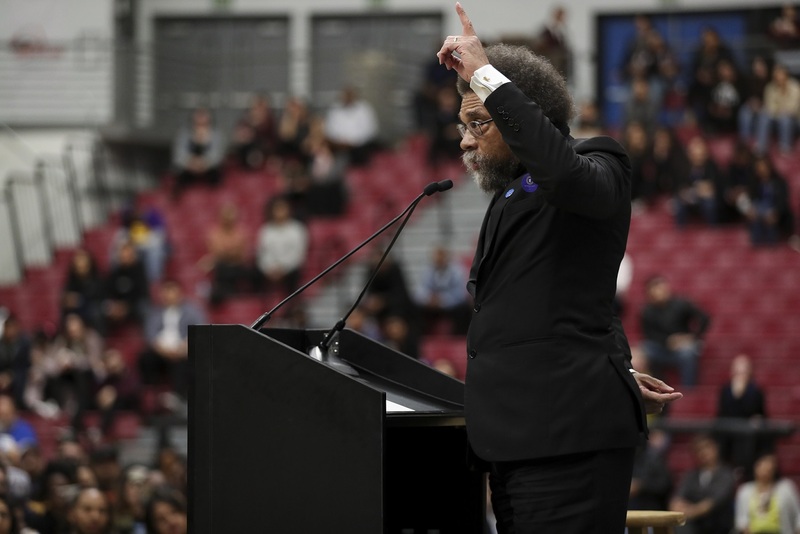 Dr. West explained that love is the key to social justice, freedom and democracy. He started out by explaining how his love from and for his parents made him who he is. He described how putting a smile on their faces was his goal and achievement. “We have to recognize that there cannot be relationships unless there is commitment, unless there is loyalty, unless there is love, patience, persistence,” said Dr. West. African Americans have been oppressed and marginalized for more than 400 years. However, amid challenging and oppressive times, love has always been the foundation of education. Along with love, West encourages the youth to step out of their comfort zone. He states “It is okay to be uncomfortable,” and “Find a channel for your energy”. Be great, not just successful; do not worry about being smart, your phones already do that, be wise. With love and greatness, Dr. West motivates people to show more compassion and understanding. He described how babies all over the world are born with the same value and how unfortunate it is that people do not understand that. Dr. West discourages bystanders and greed, for example people of Wall Street. He questions how 1% of the population holds most of the money in the world. Because of politics and the economy the percentage of people who hold majority of the worlds money shrunk. There was also a shift of what the next generation values. He touched on how churches focus on money and worry about status. Nowadays the world is much more superficial and all about “survival of the slickest” as he put. He stated to not be a “superficial spectacle”. Today the media encourages competition and material things. Dr. West advised everyone to follow your calling not just a career.